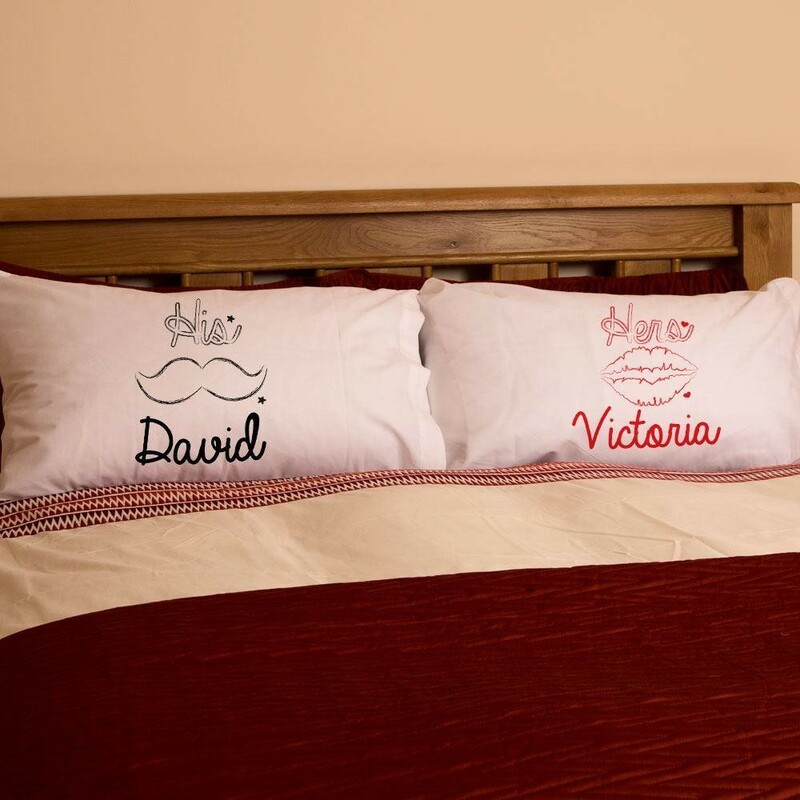 This cute His & Her pillowcase set is a fun gift for an engagement, wedding, anniversary, house-warming or even just for your own bed! 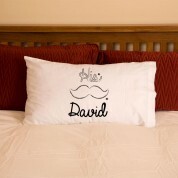 The male design features a manly moustache and the female design has a pair of luscious lips - a stylish addition any couple's bedroom. The pillowcase set can be given to a couple or to your other half (perhaps for valentine's day) - perfect gift that can be dislayed all year round.